Dr. Abdelgawad is a Post Doctorate Research Fellow in the Petroleum Engineering Department at KFUPM. He worked in research projects in productivity enhancement, Enhanced Oil Recovery, Petrophysics and Rock Mechanics. He worked as a research assistant in the Petroleum Engineering Department at KFUPM from 2011-13 then as a Lecturer-B from 2013-17 during which he received his Ph.D. and M.Sc. in Petroleum Engineering. 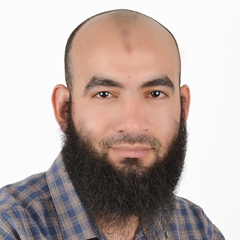 Dr. Abdelgawad has teaching experience in Well Performance, Well logging Interpretation, Well Testing Analysis, and Petroleum Economics. Abdelgawad is an active member of the Society of Petroleum Engineers (SPE). Abdelgawad, K.Z., Mahmoud, A.M., and Ibnelwaleed H. 2017. Stimulation of High-Temperature Carbonate Gas Reservoirs using Seawater and Chelating Agents: Reaction Kinetics. Journal of Natural Gas Science & Engineering, in Press. Abdelgawad, K.Z., and Mahmoud, A.M. 2017. Modified seawater EOR fluid in carbonate reservoirs. Int. J. Oil, Gas and Coal Technology, 15(4):347–362. Mahmoud, M., Abdelgawad, K.Z., Elkatatny, S. M., Akram, A., & Stanitzek, T. 2016. Stimulation of Seawater Injectors by GLDA (Glutamic-Di Acetic Acid). SPE Journal Drilling & Completion 31(3): 483 – 495. Mahmoud, M., Abdelgawad, K.Z. Chelating-Agent Enhanced Oil Recovery for Sandstone and Carbonate Reservoirs. SPE Journal 20(3): 483 – 495.